This guide contains apologetics teaching information, week by week lesson plans, as well as Chap’s teaching notes, all in an easy to follow format – making a difficult topic much less scary! 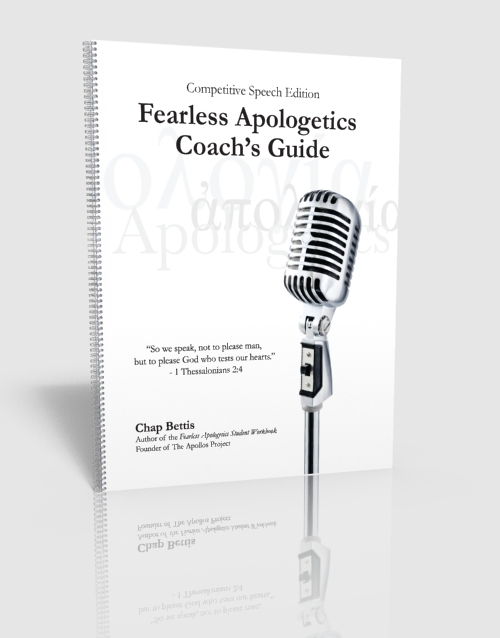 This guide is also designed to follow the same format as the Fearless Apologetics Student Workbook. For more information visit this page.